Are you tired of your underwear? Try Underwear For Men. 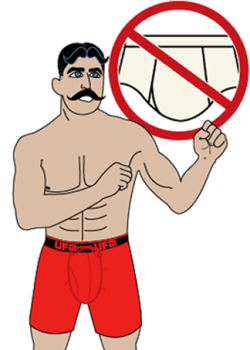 Every style and generation of our briefs and boxer briefs has a US patented and Intl patents pending pouch that isolates, supports and cools your manhood to prevent chafing, adjusting and sweating. Underwear For Men is the only brand of men’s underwear that truly offers both isolation and support. The innovative pouch doesn’t come presized. It adjusts to your size. From morning to night, Underwear For Men will be there to effortlessly support your manhood. This is Underwear For Men! UFM Underwear lassos your manhood and gives it great support. When I wore my UFM my manhood stayed put all day... no moving around. I bought two pair of 3rd Generation Everyday Men's Boxer Briefs. They are so comfortable and supportive that I did laundry every day so I could wear my UFM's. I like the innovative pouch design and the material they use. Good for any occasion or activity! I have thick things so the legs on the 9 inch are perfect! The pull string gives me the perfect support for every day and working out. The 9 inch stays better during long and strenuous hikes and running. So far, they are worth even penny. UFM Underwear has invented everyday mens underwear that is supportive, soft and stylish. UFM Men's Underwear has a US patented and Intl patents pending adjustable pouch that cools, comforts, isolates and supports your manhood. Every pair has a drawstring that is sewn discreetly into the pouch underwear. The pouch underwear adjusts to create a comfy hammock for your manhood. Because the support is adjustable, they can be worn daily and washed regularly. If you like light support, tie the drawstrings loosely. For extra support underwear, tie the drawstrings tightly. 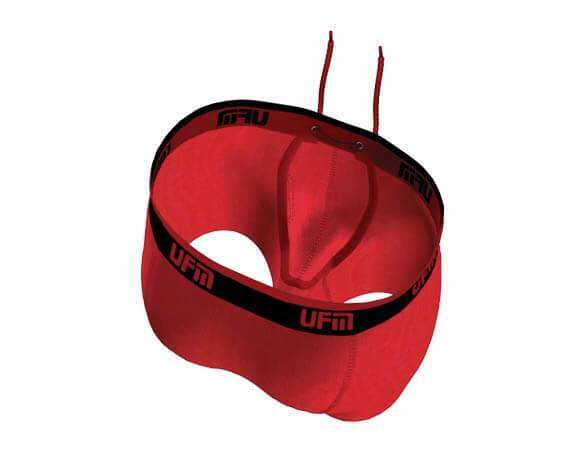 Check out UFM Medical more information on how UFM Men's Underwear, boxer briefs and briefs helps aging men with sagging and growing issues. Since underwear was invented in the 13th Century, men have searched the world for a product that offers comfort and support for their manhood. Similar to how women wear bras to support their womanhood, men need underwear that supports their manhood to prevent sagging, rubbing, chafing and sweating. Over the years, men have spent millions on tighty whities, boxer briefs, jockstrap and compression shorts, but were left feeling saggy, sweaty, chafed and smashed. A few brands have tried to offer innovative solutions, but none come close to the quality and comfort found when in a pair of UFM Underwear. Our pouch underwear does not come presized. Our design adjusts to fit your size. We have more than 2,000, 5 star product reviews from men across the US and Canada who lives have been changed by our product. Support Your Manhood Today.